Don’t drink with desserts. For the first few nights I thought this was a bit tired, sweet but a bit hard and simple. Lacking creamy lanolin, bortrytis, just not quintessentially Sauternes. Then on the 3rd night I paired it with sardines cooked in olive oil, lemon juice, shallots and capers. What a transformation. And the wine clearly wasn’t oxidized as it drank well over the next 3 nights (under winesave argon). 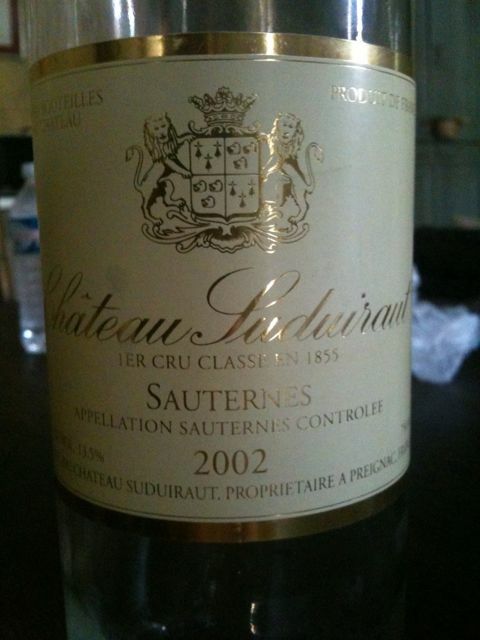 This entry was posted in Bordeaux, France, Sweet, Wine by ByronSharp. Bookmark the permalink.